Upgrade your lighting system to LED technology at the lowest possible cost by installing EPCO’s Strip-Type Wiring Harness RetroFit Kits. 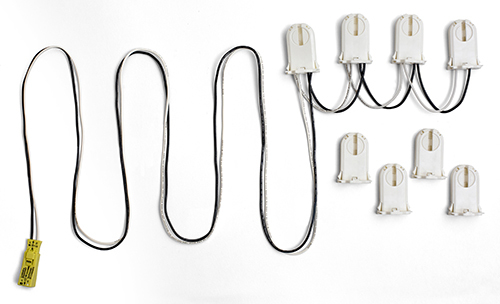 These easy-to-install Wiring Harness kits provide you with an energy efficient upgrade from traditional T8 or T12 fluorescent lamps to T8 LED Lamps. This lowers your energy consumption up to 40%, provides long-term sustainable energy savings, complies with local and national energy regulations, and qualifies for rebates from your electric utility. 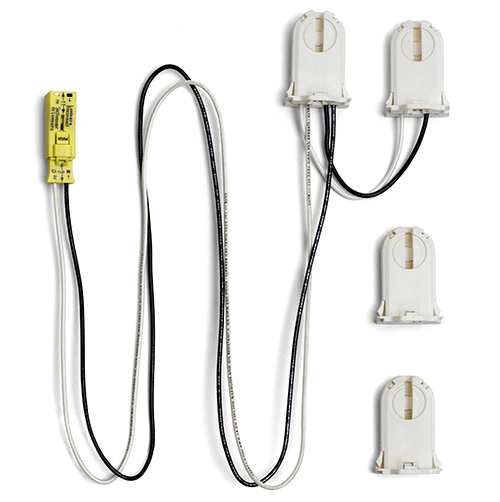 Easy to install, these pre-wired harness kits connect to the incoming 120-277V supply line voltage, bypassing the original ballast via the luminaire disconnect and directly to the luminaire. 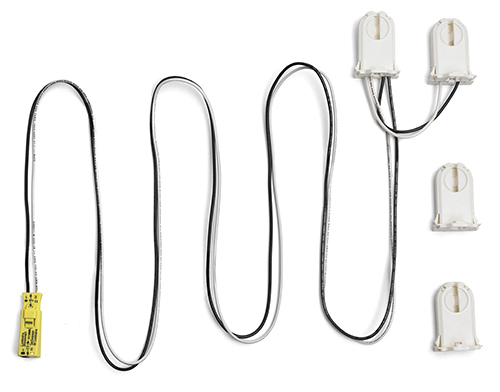 Our wiring harness kits are intended for use with Type B single-end powered bi-pin T8 LED Lamps classified to UL Standard 1598C. 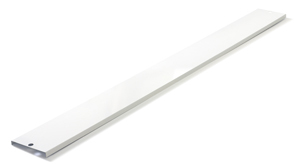 NOTE: Wiring Harness Part Numbers 14087, 14088, and 14089 are specifically for use with T8 LED Tubes only; classified to UL Standard 1598C. The incoming line supply voltage must be connected to the "HOT" and "Neutral" (Black and White) conductors on the wiring harness luminaire disconnect. EPCO Warrants the products described herein, will be furnished free from defects in material and workmanship for 1 year. Any exceptions will be indicated on the product or product packaging. EPCO’s sole obligation for any breach of warranty under the terms herein shall be, at our option, to repair or provide replacement for the Product to which such warranty is breached, or to return all payments made with respect to such Product. This warranty is void if this product is installed improperly or installed in an improper environment, overloaded, misused, opened, abused, or altered in any manner, or is not used under operating conditions or not in accordance with any labels or instructions. The Purchaser in a written notice to Engineered Products Company’s Warranty Department must specify any Product(s) that is deemed to be defective within 1 year after receipt of such goods. Under no circumstances will Engineered Products Company be liable for loss of profits or incidental, indirect, consequential or special damages of any kind beyond the replacement cost of the defective merchandise. Engineered Products Company shall not be liable for any losses arising from governmental action, an act of God, or the result of war, riot, strikes, civil commotion, sovereign conduct, or the act or conduct of any person or person not party to or associated with Engineered Products Company.